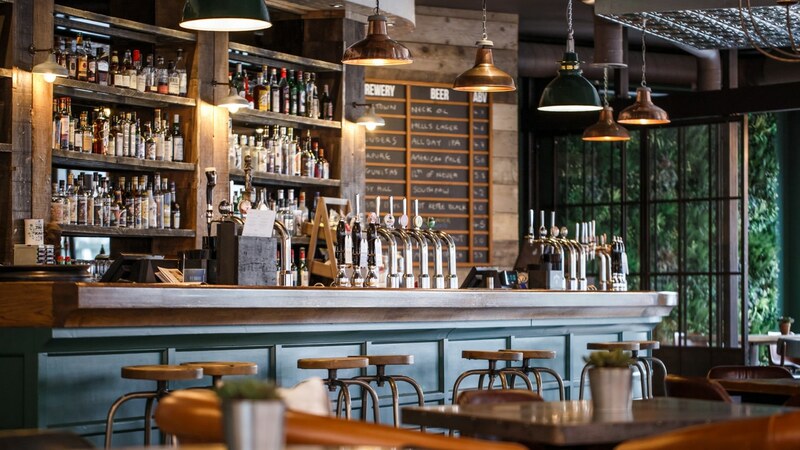 Set on St John’s Hill near Clapham Junction station The Plough is a cosmopolitan New York-inspired bar and kitchen. The Anglo-American menu is all about small plates and little bites inspired by the Big Apple’s eateries. And the interior also takes its cue from here. With exposed brickwork and classic monochrome tiled flooring, it is one of few pubs in London to have brewery fresh lager aging in two huge stainless steel tanks by the bar. Refurbished lights from skinflint - original 1950s green enamel pendants by Thorlux – were selected, highlighting the green wooden panelling and completing the industrial look.